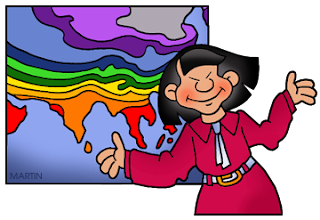 Sci/Why: Humidex Shmumidex! It feels like what it is. I often yell at the radio. I know it can’t hear me, but still. My most frequent rant is when the weatherperson says “The high will be 27 degrees, but with the humidex it will feel like 37 degrees”. And I retort “No it won’t. Because if the temperature were 37 degrees, you’d tell me that it feels like 58 degrees!” If every temperature “feels like” something different, we can never know what any temperature feels like! What’s happening is that the weatherperson is misrepresenting what the humidex is. The humidex isn’t an equivalent “feels like” temperature. The humidex isn’t a temperature at all. It’s purely a number. Unfortunately, the numbers on the Humidex scale are close to temperatures in Celcius, so people confuse them. The Humidex was invented by Canadian scientists in 1962. I’d like to believe that scientists learned from this mistake. 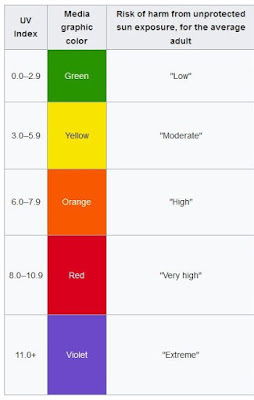 The UV Index (a measurement of Ultra-violet radiation), invented in 1992 – also in Canada, and then adopted by the World Health Organization – has a scale from 0 to 11+. Hard to confuse that with summer temperatures! Back to the Humidex: it's a useful indicator of health risks. 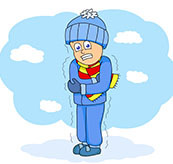 Our bodies need to be within a remarkably small range of temperatures. “Normal” body temperature is about 37°C. 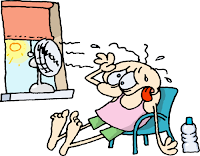 If your temperature rises to about 40°C, you start having hyperthermia, which can be fatal. (Seventy people died in Quebec last summer because of a heat wave, and hundreds die of heat stroke each year in the U.S.A.). 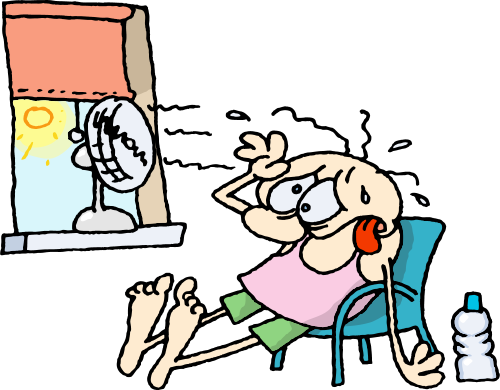 Our bodies stay cool by moisture evaporating on our skin. Turning liquid into vapour requires heat energy which is taken from our bodies, cooling us down. When the relative humidity is high, evaporation is slower, so our cooling mechanism doesn’t work as well. That means we need to be careful not to generate too much internal heat from exertion. We also have to make sure we keep drinking, to allow moisture to be generated on our skin. The Occupational Health Clinics for Ontario Workers Inc. created more precise humidex-based quidelines for work environments. 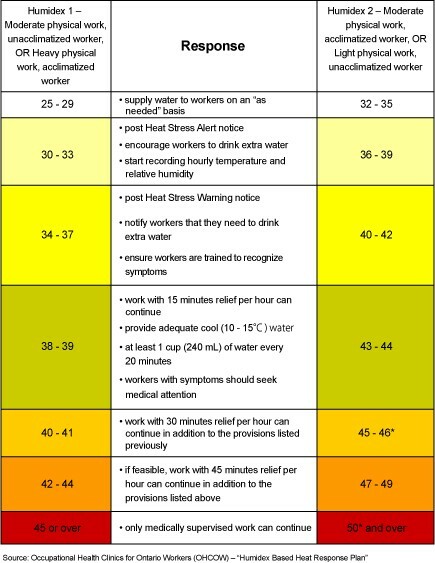 These are recommended actions for employers, based on whether workers are acclimatized to heat, and whether they are doing light or heavy work. Wind chill calculation is another Canadian innovation. In contrast with the Humidex, wind chill is specified in degrees. When a body (like a human body, or a building) is warmer than the surrounding temperature, it loses heat to its surroundings. The bigger the temperature difference, the more quickly it cools. It loses heat more quickly when air is being blown past it. That’s why blowing on your soup or coffee cools it more quickly. Wind chill (for a specific temperature and wind speed) is the temperature which, without air movement, would cool a body at the same rate. So it’s quite accurate for a weatherperson to say something like “it’s 2 degrees, but with wind chill it feels like -7”. I love hot weather and hate cold weather. So it's a small consolation to me that during winter, at least I don't have to listen to a weatherperson mangling what the numbers mean. I like this blog. Thank you for sharing this information.